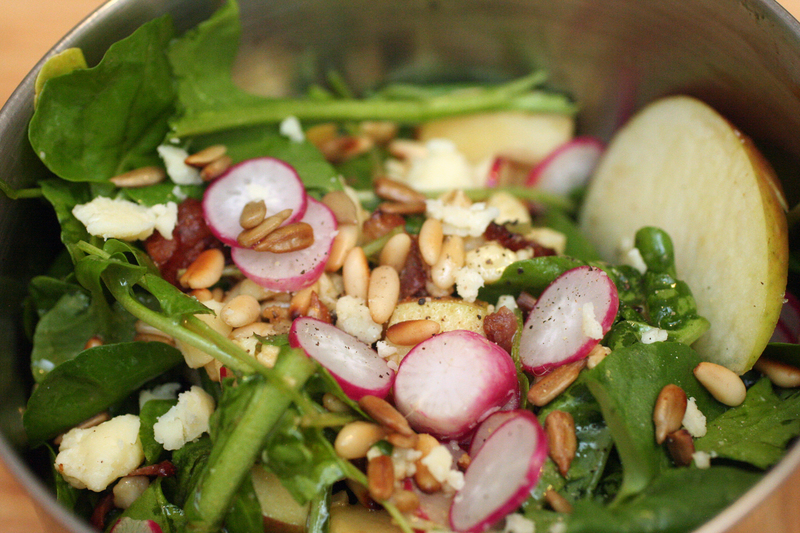 I almost forgot how much I love this refreshing salad- so perfect for summer. Comes together in about 5 minutes. 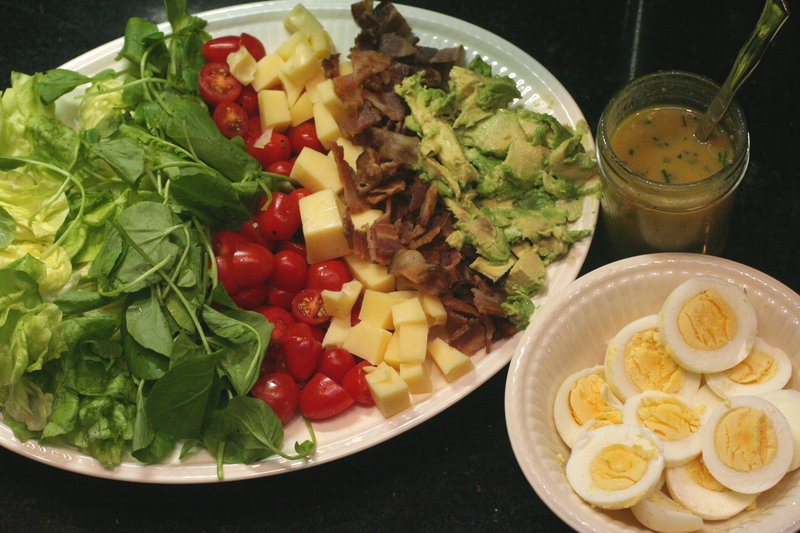 I used to make it before my Snacko Backo days– in the w. village apartment. Seriously, so easy. Make it now. And share it with your friends. As I did once w. ms. beezy burgess— to whom I send a special congrats– for grad school graduation!! Rinse the spinach and spin or gently pat dry [ever tell you how much i love my salad spinner? totally worth the $$- small one]. Tear spinach into desired size. 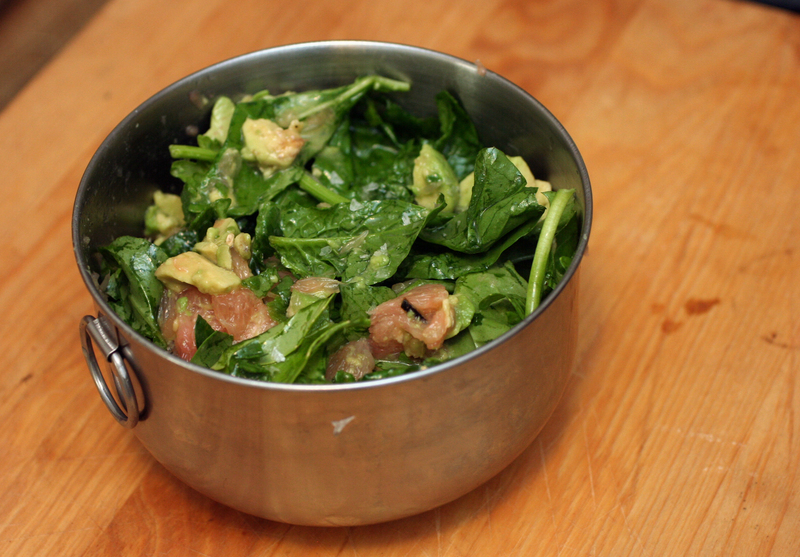 In large bowl, mix together spinach, oil, garlic– toss well and set aside. Peel, seed and section the grapefruit- putting grapefruit and its juice into a small bowl [i have this super handy serrated grapefruit spoon- so you can just cut the grapefruit crosswise and dig out the good stuff].Chop up the avocado and add into the bowl- gently mixing together. Add them to spinach salad bowl. Sprinkle w. salt & pepper to taste. 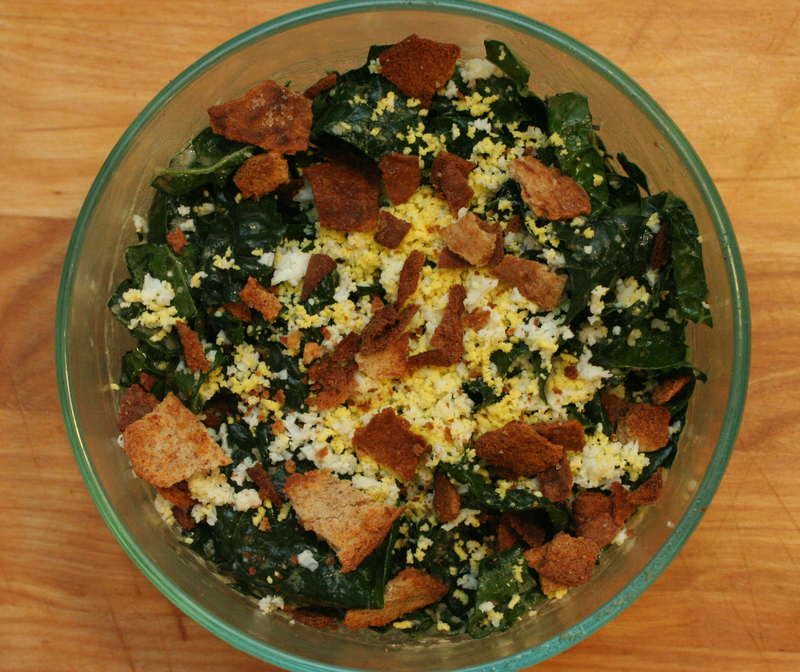 Kale Caesar is a staple at Sam’s house. This recipe was first sent to me by Lan— and i love it. Instead of having egg in the dressing, you push hard boiled egg through a mesh strainer and use as a topping- and it is actually quite gorgeous. 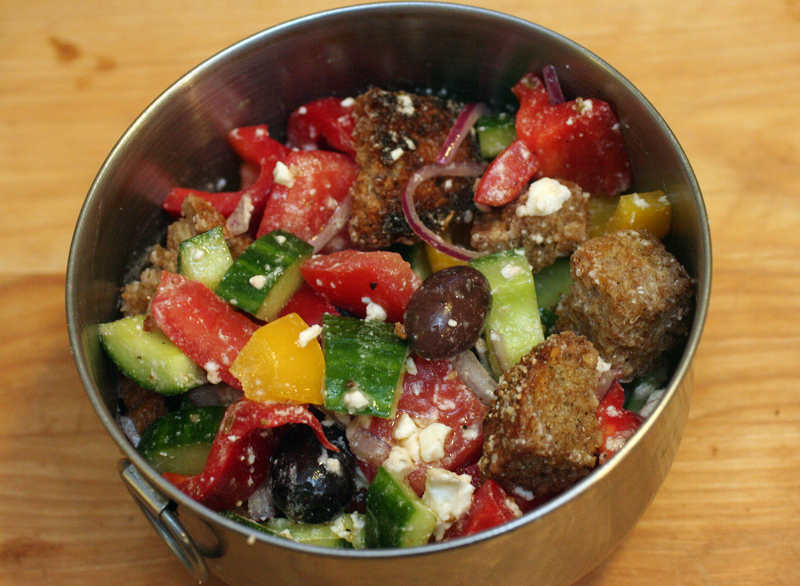 You can also- as I have- made pita chip croutons- as inspired by a different salad that I saw on Chuck’s Day Off. 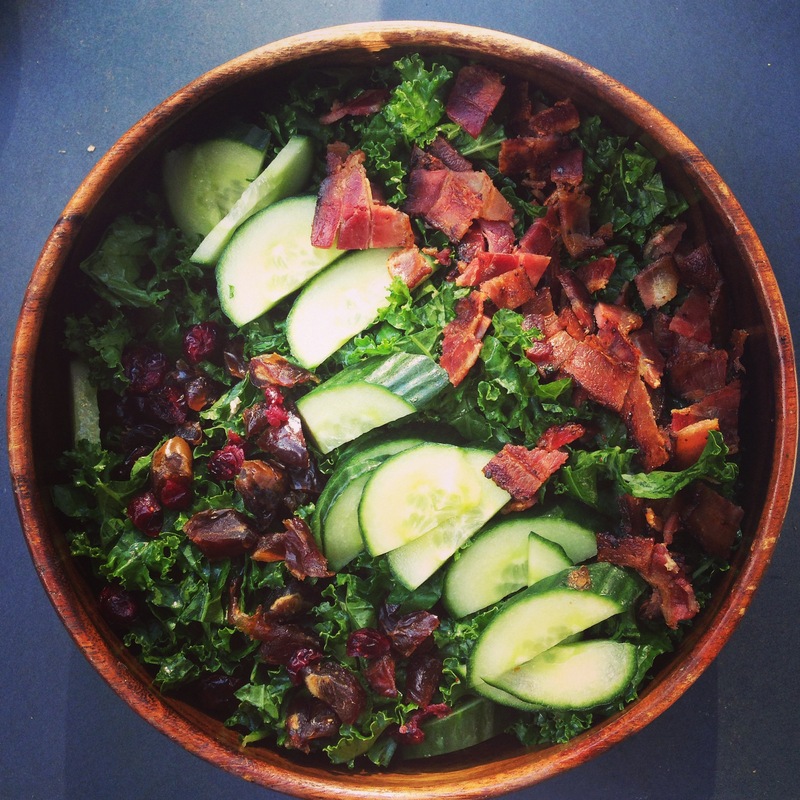 But if you are too lazy– and not in the fussy mood- as Sam & E & I were last week– you can quickly throw together just the kale and dressing. 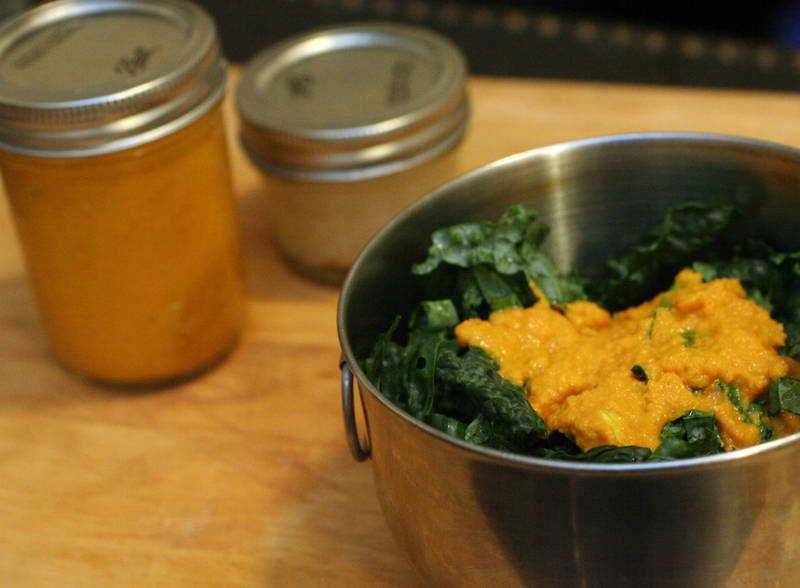 Tastes good too if you let the kale sit w. the dressing for a little bit, softens it up. 14 ounces Tuscan kale or other kale, center stalks removed, thinly sliced crosswise (about 8 cups). Tuscan kale also called lacinato, black kale or dinosaur kale– has long, narrow, bumpy dark green leaves. [I find the best way to chop… hold leaf and pull out stem. Then stack all leaves in a pile- on top of the other. Then– starting at the top tip– roll it up– so you get a spiral of kale– and cut into thin ribbons— sort of like you would cut cookies from a roll of dough. Put first 4 ingredients in a blender of food processor– and process until smooth. W. machine running, slowly add oil to make a creamy dressing. Transfer to a bowl and stir in 1/4 cup of parm. Salt & pepper to taste. Cover and chill. Can make dressing 2 days ahead. salt- sea salt if have. or kosher. Preheat oven to 400 degrees F. Open pita– and cut around the edges so splits into the two rounds. Rub surface w. clove of garlic, drizzle w. olive oil and salt. Cut each round– into chips- maybe 6 triangles. Bake for 10 mins or until medium brown. When cool, take in your hand– and crumble over the salad. Obviously- if you just want to eat pita chips– that works too.